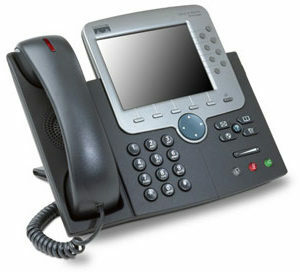 What has VoIP PBX phone system to do with communication? VoIP PBX phone system uses the company’s broad band connection for phone calls and so calls are free wherever the client may be located. Plus, you just have to invest a little on the system but can extend as many phone lines in the future. VoIP PBX phone system has a collection of features such as automatic call distribution, call forwarding, call conferencing, voice mail, message alerts and many more. It transfers calls to various departments or employees and also provides callers with options of dial by extension or dial by name. In this way, multiple calls are managed by the PBX telephone system preventing any busy signals to the callers. Calls coming to the primary business can be forwarded to other branches through extensions. Therefore, business can be operated from remote sites too. Coming to the unattended calls, they are right away transferred to the voice mail system for the callers to leave a message which will be further directed to the email account to check later. We at VRS Technologies in Dubai provide highly secured connections with superior digital and sound quality with the PBX systems we have to offer you. You can connect with your clients globally without much effort. Our business telephony services are available at competitive prices and all you have to do is choose the services we have in store for you.